On Wednesday morning, Oregon senator Jeff Merkley published an op-ed in the New York Times announcing his full-throated endorsement of Senator Bernie Sanders for the 2016 Democratic nomination. 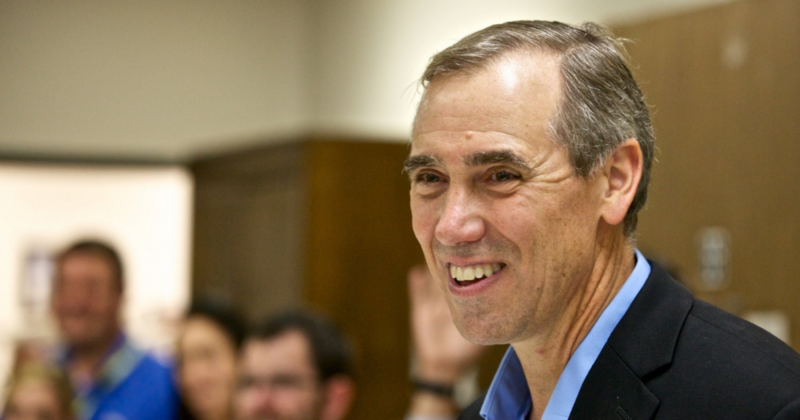 Merkley has become the first senator to endorse Sanders. In his endorsement, Merkley explains that the America he grew up in has changed dramatically, and that many of the issues Senator Sanders rails against are precisely the reason. Merkley speaks of a childhood where his father in a middle class low-skill job could comfortably care for his entire family. Now, as we all know, this is far from the case. Merkley explains that he believes that Hillary Clinton is an excellent Democratic candidate as well, but that her incremental change proposals just won’t do in a time that calls for big actions rather than small ones. “The first three words of the Constitution, in bold script, are ‘We the People.’ The American story is a journey of continuous striving to more fully realize our founding principles of hope and opportunity for all.